Injection molding refers to a process that is used to manufacture parts in large numbers. The injection molding machine injects molten material into a mold. The injection molding process may utilize different molten materials such as metal, plastic, glass, or polymers. 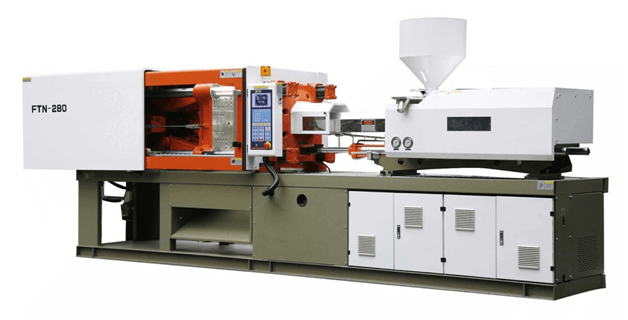 The injection molding machines are mostly used for mass-production needs where it’s required for the injection molding manufacturing companies to produce the same part thousands of times in succession. The parts could range from simple components to more complex panels such as car body parts. The material of choice is fed into a barrel where it’s heated for it to melt; its either fed manually, automatically or by vacuum. It’s then injected into a cavity where it is allowed to cool and solidify. These injection molding machines often come with a manual that features the injection molding processing guide. There are two versions of the machines in the market: the horizontal injection molding machine and the vertical injection molding machine. What are the Upsides of the Injection Molding Process? The whole process is easily repeatable. As a result, you are able to produce a part that is identical to the previous one. What are the Downsides of the Injection Molding Process? The initial capital is quite high due to the fact that the injection molding equipment and tools are very expensive. The equipment utilizes advanced technologies and is a bit more complicated than you think. The design process is not an easy one. The initial prototype development is especially a challenge for some people. The injection molding designs are mostly done via 3D printing in order to get the desired shape, features, and properties right before the actual part is produced. The injection molding parts, once fully manufactured, are really difficult to change. This is because they are made of metals such as steel and aluminum. Making changes might require you to start over completely. Before you can venture into injection molded manufacturing, you need to set aside a large amount of capital. The entry costs are high and so you require a large capital to invest. Consider the cycle and assembly times. These should be kept to a minimal. Another factor that you should consider is the production quantity. The more parts you produce, the more cost-effective it becomes. Injection molding is used to produce the same object in large volumes. It is used for the production of items such as automotive parts, spoons, toys, bottle caps, plastic chairs and tables, storage containers, as well as musical instruments.